Lipstick is a fashion accessory that some women just can’t do without. Lipstick has been the one cosmetic staple that most women have relied on. It’s not uncommon for a woman to put on lipstick before anything else and in the case of being in a hurry many women forego mascara or blush and reach for their lipstick. 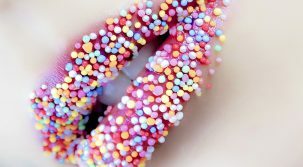 Although the term “lipstick” clearly means a cosmetic that is applied to the lips, there are several different types of lipsticks available for purchase. Each woman has her own unique preference when it comes to the different types of lipsticks and which one suits her best. 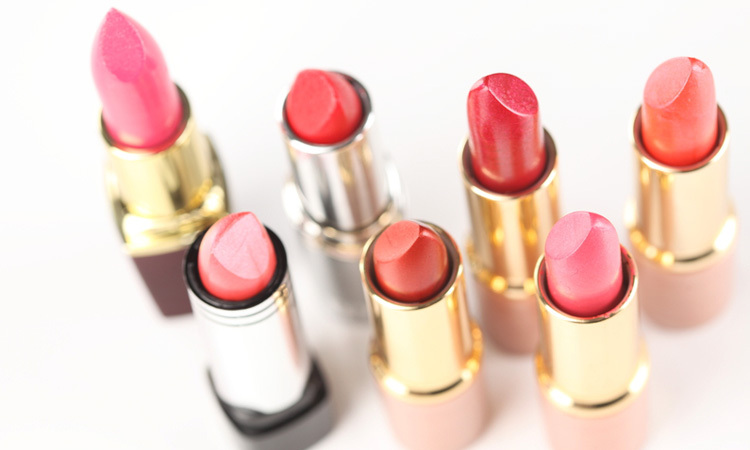 One common ingredient found in many different types of lipsticks is a moisturizer. This is important because lips can often become dried out because of the weather or the lack of humidity in a building. Incorporating a moistening agent into lipstick allows the woman to wear it all day without worry that her lips will become dry or chapped. Another important ingredient in many different types of lipsticks is sunscreen. As much damage as the sun’s rays can cause to skin they can cause just as much damage to lips. Therefore it’s very important when browsing the cosmetics aisle to choose lipstick that has a sun screen in it. It doesn’t change the appearance or feel of the lipstick at all. All of the different types of lipsticks come in many assorted colors. Some women love a bold look and for them a bright or dark red is a good choice. For other women they are looking for lipstick that is more demure. In this case they’ll want to concentrate on a lipstick that is a pale shade, perhaps pink or coral. You can also change your shade of lipstick depending on the event or your mood. If you are attending a gala dinner you’ll want to choose a more striking lipstick that complements your outfit choice. If you are heading to the beach for a day of rest and relaxation a more subtle shade of lipstick would be most appropriate. Although it seems that the color choice in lipstick is unending, there are also just as many brands of lipstick to choose from. Cosmetic companies recognize the importance of lipstick in their customer’s lives. They want to improve their lipstick products so that they are longer lasting and the colors stay more vibrant. There are several lipstick brands that now offer all day wear. 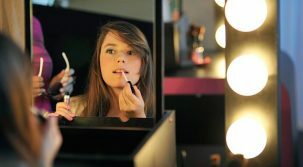 This means that the woman applies the lipstick once in the morning and it is intended to stay fresh throughout the day. Many of these types of lipstick claim that the product wouldn’t smudge off even if the woman is drinking or eating. For a very busy woman who enjoys looking her best this type of lipstick can be perfect. She chooses the shade that best matches her look for the day. She applies it before leaving home and can work all day without worrying about reapplication. Purchasing lipstick is as easy as visiting your local cosmetics counter. In most major department stores the cosmetic counter is staffed with a beauty specialist. This person will be able to help you when you are buying lipstick. Quite often they have training in cosmetology and understand what shades of lipstick complement what skin tones the best. They’ll choose a few lipsticks for you to consider. In most stores there are lipstick testers which allow the customer the chance to apply a small dab of lipstick on their wrist to check for color. Lipstick is fun to wear and it can brighten up a woman’s mood instantly. When choosing lipstick it’s wise to pick a few different shades that reflect your different moods. Lipstick So Many Choices Reviewed by FashionPole on October 10, 2016 .